In the last two years, two of my close friends have had children diagnosed with ADHD. It has dramatically changed the way their families function, but the diagnosis has brought peace and allowed them to better understand how to help their children and implement a treatment plan. I have noticed that the first question they get asked is "what were the signs"? It is a good question. 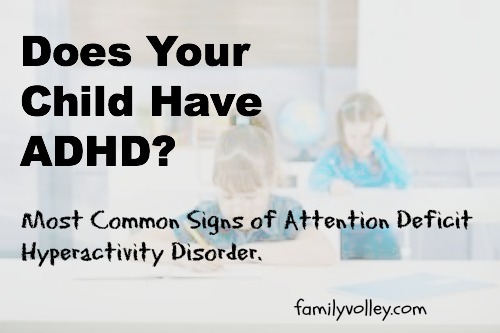 Here are some general warning signs that your child might have ADHD. In case you have the same question. ADHD (previously known as ADD) is a behavioral disorder that affects between 5-10% of children. Boys seem to be 3x more likely to be affected. Here are the most common warning signs. Does your child have trouble paying attention? They don't appear to be listening and struggle to follow directions when they are given. Does your child forget things easily? Do they leave their coat at school, forget their lunch money, or where they put their book? 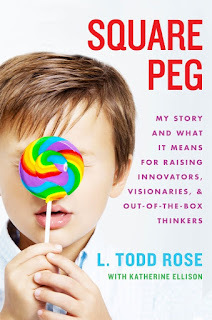 Does your child have a hard time sitting still? Are they always getting out of their chair, running around? Are they constantly running around and climbing on things? Does your child lack self control? Do they routinely interrupt other people when they are talking? Invade others space, and ask questions that are too personal? Do they show little regard for how much they talk, talking endlessly? Does your child cut others off when they are talking, jumping in to answer questions before the entire question has been asked? Does your child appear emotional? Whether they are happy or sad, are emotions exaggerated? Are their outbursts and temper tantrums that don't seem to have a valid reason? Does your child have a hard time waiting their turn? Do they always seem impatient and irritated when they have to wait? Does your child get stuck on a certain task? When you ask them to put something down, or move on to something else, is this difficult for them to do? Do they struggle with transitions? Does your child leave tasks undone? Is he/she easily distracted, and struggles to finish jobs and responsibilities? Does your child act before they think? Do they disregard consequences and act any-way? Does your child avoid doing hard things? When a task is difficult do they either avoid it all together, or does it cause them undo stress? Upon reading these warning signs, it is easy to think, "all children do these things." And it is true, all children exhibit some of the above behavior. The difference with a child with ADHD, is that they don't just exhibit these behaviors sometimes, or just at home, but they exhibit the behavior most of the time, and in more than one situation. At home, at school, at church, and at play dates with other children. If your child is demonstrating these behaviors, more than you feel is normal, it is good to start talking to your children's teachers and compare notes. Make sure that the behavior is universal. After that, a doctor is your next stop. They can rule out other possibilities such as learning disabilities, anxiety, depression, thyroid problems, sleep disorders, or the effects of a situation such as bullying. A doctor can give your child a complete evaluation and together you can create a plan of treatment. -The behaviors must not be linked to stresses at home, such as a death in the family, an illness or divorce. As parents it can be really hard to know what to do and how to help children with behavior disorders. We have probably heard about medication, diet, exercise, and therapy. But what does that really mean? What can we do in our homes and in our schools? I recently read a great book on ADHD called Square Peg by Todd Rose. The approach was refreshing and pertinent for me as a mother and teacher. The book is filled with "Action Items". Helpful tips for helping children with ADHD, learn. Providing information in different formats so that our chid can learn in a "language they understand" and...Creating an environment that accepts our children, just as they are. Funny, the suggestions apply no matter who are children are. If your child exhibits the above signs, consider visiting your doctor. And understand that treatment doesn't just mean a doctor visit, but an environment change in your home and at school also. What were the signs, how did you know? Do you have any advice for parents who wonder if their child had ADHD? "Funny, the suggestions apply no matter who are children are." Very true! Thanks for being a part of the book tour. My son's teacher (he's 8) has been concerned about him possibly having ADHD for a while. He's smart, he's not badly behaved like the kids I've known personally, and is able to sit still. But he has really bad handwriting and has a really hard time staying focused on a task. He gets distracted easily but he's such a good kid. We're currently working with a specialist to determine if he does in fact have it. She recommended medication but we're focusing on nutrition right now to see if that will help before we start giving him medicine. http://bit.ly/2dBFYeW . Do contact him for cure to any disease or virus. http://bit.ly/2dBFYeW . Do contact him for cures to any disease or virus. This is the third time we have used your company do perform electrical work for us. Your workers ALWAY perform in an excellent manner! My wife commented that you always take the necessary steps before you begin the job to ensure any mess will be captured and clean up after you complete the job as well. You do the work requested for the price you quote before you come and you come on time too! Thanks again American Electric Jacksonville!